Shawn and Kristin DOUBLED their Fee Income Per Door/Management- Here’s HOW! Shawn and Kristin Johnson from Independence Capital PM (Farmington, New Mexico- USA) added and increased more PM fees with their owners, and over a journey of 3 years have increased their fee income from $125 per door/month, to a whopping $266 per door/month WITHOUT having to add more door growth to achieve the same. In this revealing interview, Shawn and Kristin outlined how they did it, and more importantly what mindset changes they needed to go through to achieve these outstanding fee revenue results. How Tim Signed-Up Over 300 Managements Using Networking and a Removals Van! Tim Castro, BDM from Port Macquarie Property Management in regional NSW has signed up 334 managements in the last two years, largely through networking with people in the town, and the free use of a concierge service involving the hiring out of a removals van and trailer. Tim was also a finalist for the Real Estate Business (REB) BDM of the Year for 2018. Great interview Tim! Brian Has Over 620 Google Reviews With His PM Company – Here’s How. Brian Birdy is the business owner of PMI Birdy Properties, and is the largest PM company in San Antonio Texas – USA with over 1700 managements. As of this recording (Dec 2018), Brian was also the national president of NARPM – the largest property management association in the USA. Brian Birdy has been really focused in building his PM company’s Google reviews, and to date has over 620 reviews, with a 4.5 star rating. In this podcast interview we dig deep on how Brian achieved this with his team. What strategies and scripts did they use?, and what incentives were in place to achieve this? Natalie South is a top performer BDM based in Brisbane and in her second year (previously working in debt collection) she signed up 240 properties. Here’s how Natalie did it. How Nick signed up 1000 managements in under 6 years. Nick Giles is a BDM that works in the South West of Sydney. With a deep passion to help others succeed, Nick is a guy that has strong points of difference and a unique way to ensure he gets full fees over the line. Michael Sanz is a property marketing genius. His 600 managements with ‘Neesh Property’ in Melbourne Australia were spread over 84 suburbs. Despite this distance and spread, he was able to achieve ZERO vacancies and a far better result than direct competitors in all these suburbs. Michael shares in this Video Podcast how it’s done. How Shashana signs up to $13,000 per month rentals! Shashana is a BDM working the ‘Golden Triangle’ in Perth Western Australia where the rents are anywhere up to $3000 per week/$13,000 per month for a rental property. This video interview explores how she went from being a good property manager to now signing up 10-15 new managements a month as a BDM- this is her journey. How Dave signed up 800 managements in 4 years. Dave Skow signed up 800 managements over 4 years as a PM Only business in Wagga Wagga in country NSW. QUITE a FEAT that’s hard to beat. Dave Skow is the business owner and BDM for Wagga PM, and he shares how he did it, what strategies he used and shares his scripts and points of difference on how he DOMINATES in his space. Jess Clarke is just one of those BDM success stories. Initially struggling with 8-10 managements a month, after some coaching she now signs up 25-30 new managements a month consistently. In this video interview Jess Shares how…and what changes she made to her performance. Awarded three times the REIWA PM of the Year (Real Estate Institute of Western Australia) plus also the REIA (Real Estate Institute of Australia) Residential PM of the Year twice (including 2018) Laura has captured the attention of many with her ability to sell her services with the HIGHEST PM FEES in her marketplace using strong points of difference. Yes, you can win business WITHOUT discounting, and Laura explains how in this candid and revealing interview with Daren Hunter and Deniz Yusuf. How Jason signs up $50k worth of annual fee income EACH MONTH! Jason Wright is a Power BDM. Starting off running his own family business in Adelaide as a Residential BDM doing up to 20 new managements a month, Jason now heads up a commercial PM department and is also the BDM, signing up to 15 properties a month doing approx $50k to $60K in annual fee revenue- per month! Jason is truly a BDM expert who’s mastered the art of ‘one-on-one’ networking and listing presentations. Greg Watson from Watson Real Estate in Palmerston North NZ is the most awarded PM and BDM in New Zealand. Quite simply Greg just goes to seminars and conferences, and comes back to IMPLEMENT just about everything. This type of MASSIVE ACTION brings a TON of RESULTS and in this candid and honest interview GREG reveals WHY AND HOW his business totally DOMINATES their local market, despite being the most expensive with their PM fees. Joe Iemma is the Dept Head of Doyle Spillane Real Estate based in Dee Why on the Northern Beaches of Sydney. Doyle Spillane Real Estate have around 1000 properties with likely the highest PM fees with 98% of his managements on 7% in Sydney, plus also high ancillary fees. Typically agents are signing up business at 5-6%, some less than this at 3%-4%. Despite being surrounded by cheaper agents, they keep bringing in quality numbers each month by competing on service and not fees, consistently beating cheaper agents by showing prospective clients how much better off they are financially with his agency. Martina Berry is the BDM and General Manager for Professionals Rockingham based in Perth Western Australia. 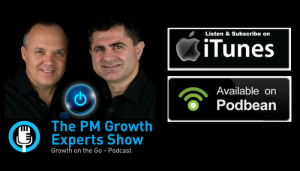 In this interview with Darren Hunter and Deniz Yusuf Martina shares that despite being one of the most expensive fee charging agents in her marketplace they’re signing up 15-20 new properties a month. Hear how she did it!